It’s National Chocolate Week, could there be any greater excuse to eat chocolate, I think not, so it’s only right we have a chocolatey post! We already have Reese’s Dark, White, Miniature, Big, Giant and Crunchy to name a few. So how could you possibly add to the Reese’s Peanut Butter Cups Family? 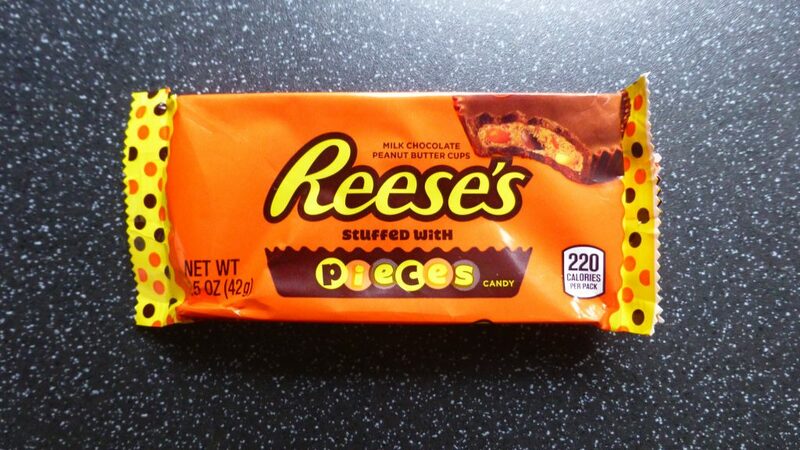 Erm enter Reese’s Stuffed with Pieces, huzzah! Being a lover of both Reese’s Cups and Reese’s Pieces this is somewhat a heavenly combination of infusing the two together. I really do have to question why this mashup has taken so long, it just seems such an obvious thing to do. Although my trusty Longacres garden centre let me down with the selection of Oreo’s they did however redeem themselves with having Reese’s Stuffed with Pieces. Chunky Reese’s Peanut Butter Cups are packed with the smooth, crunchy Reese’s peanut butter we know and love, but it’s been stuffed with pieces too. As always a standard pack comes with 2 individually cupped peanut butter cups sat in a paper tray. Cracking these open just look at those Pieces buried in there! The chocolate coating is the right thickness and gave a slightly sweeter creamier taste than what we Brits are used. 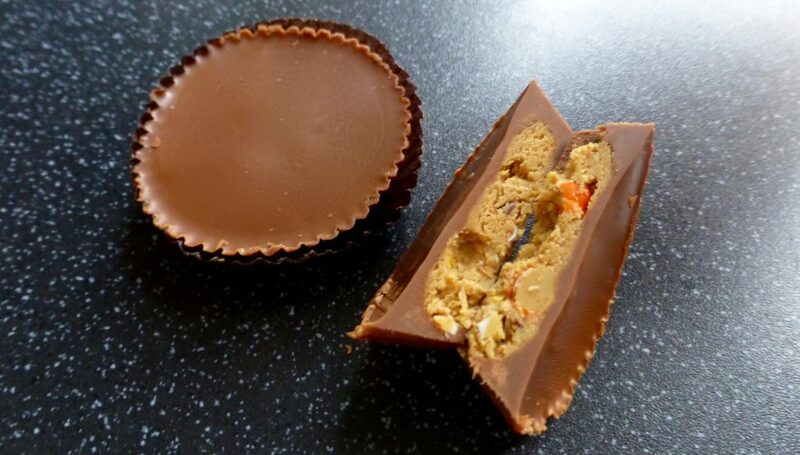 The peanut butter was slightly grainy in texture with the added pockets of crunchy Reese’s Pieces dotted about. I don’t know whether I expected to have an extra PB hit or two different PB textures but it kind of just tasted the same as a standard cup just with added crunch, and a little more of a sugary hit. As a whole these two, as expected, work perfectly together and I do welcome this addition to the family. I highly enjoyed these Reese’s Stuffed with Pieces and I can’t complain. They do a far better job at giving you the crunch factor than the actual Reese’s Crunchy Cups, and they achieve what they set out to do. 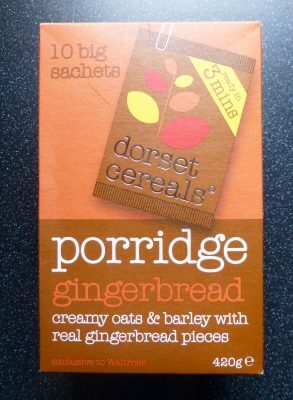 If you are partial to a peanut butter cup give these a go.